Celestina (Tina to friends), my 1967 Fulvia coupé rallye 1.3. Found in Italy and driven to Holland in november 1998. 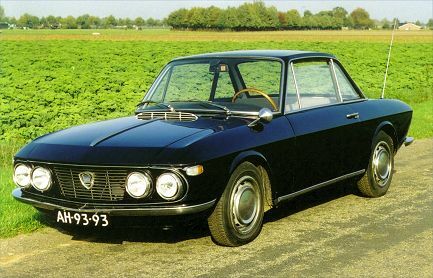 Elena, Lancia Blue 1967 Fulvia coupé Rallye 1.3. Bought in Modena, Italy in October 1999. Original low mileage car. Winter 1999 / 2000. 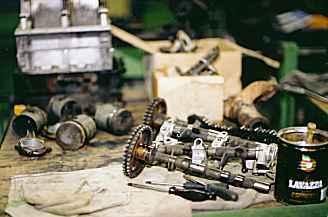 The engine of Soriana (Sor for friends), my Fulvia berlina 1C, taken apart. I found a bee's nest in cylinder #1!!! The remains of the bee's nest are now in the Lavazza can. Chicolina (Lina to friends). 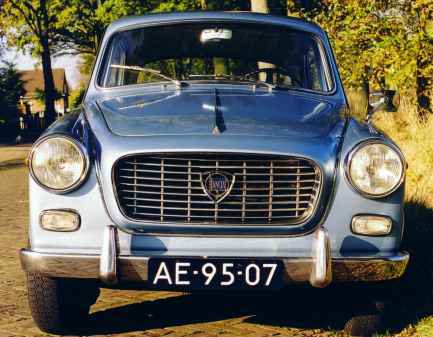 This 1961 Appia berlina belongs to Charlotte and Huib since oct 1, 1999. Charlotte (born March 2nd, 1976) and Freek (short for Frederik)(born March 1st, 1977). 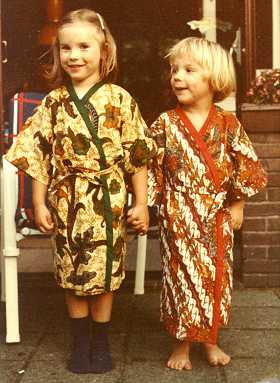 In those days Freek could never understand why he was younger than Charlotte while his birthday came first. Picture was taken at our house in Breda, the Netherlands. Little brother has turned into big brother. 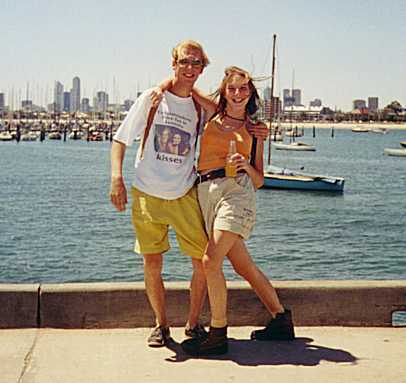 Freek lived a year in Australia and made plenty of contacts in the Lancia community in Victoria. Charlotte was on a short inspection trip. She came back with a favourable report. Both are back in Holland. Charlotte lives in Amsterdam and Freek in Breda. Pictures of the 1998 Tulpenrallye and SLS rally. Pictures of the 1997 Tulpenrallye.